Rachel is a trained Silversmith as well as a Goldsmith. She is as happy working on a commission received from the individual as welcoming larger commission from an organization. An example of one such commission is the Golden Owl. Rachel came to the notice of The Field magazine and seemed the most appropriate designer to be charged with creating The Field Golden Owl. Actual Size 150mm high. 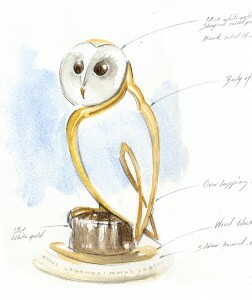 The challenge was to decide what form the sculpture would take and to sketch some owls in different postures. The final design The Field chose looked very natural with the crossover of the wings giving the form strength. 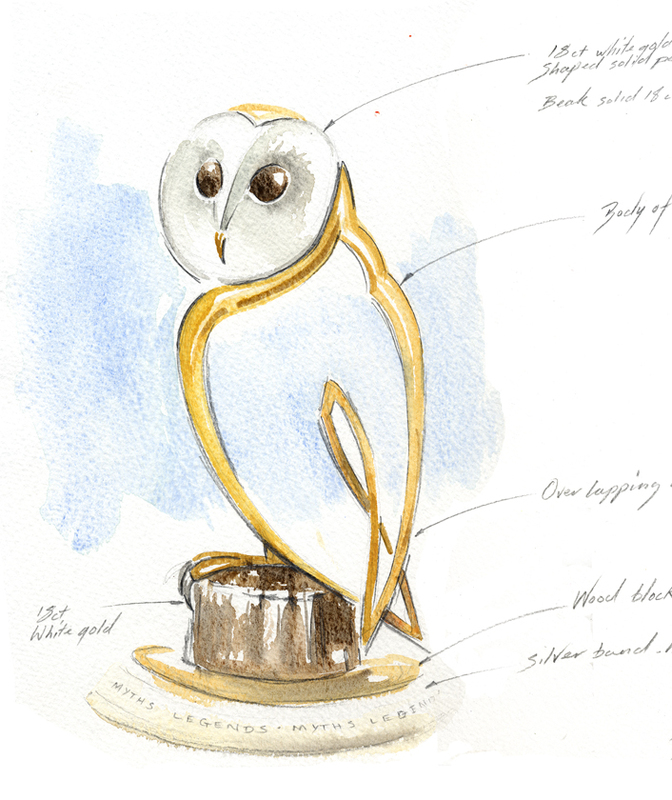 The Field’s Golden Owl has a torso and wings forged from 18-carat yellow gold, a face of beaten white gold, a yellow gold beak and white gold claws. Stone was needed for the eyes and in keeping to the magazine’s British roots, two dark brown stones were sourced and selected from the Cairngorms.